"Not a good experience at all"
"Great time with excellent Apollo-Vehicle"
As an Aussie page born and bred, we reckon we know Apollo Motorhomes Australia pretty well. Apollo (Australia) are just about as big as you get in Australia - they have more campervans and motorhomes than anyone else, branches all across the nation and selection to beat just about anyone. Whilst driving in Australia, you are probably going to see more Apollo branded vehicles on the roads than any other campervan rental company. Currently, they have over 4000 vehicles with plans to add another 1500 vehicles to the fleet. 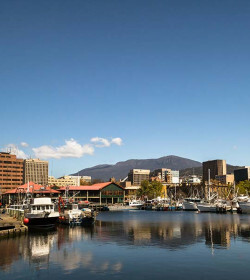 Established in 1985 in Australia, they now also operate in New Zealand, USA, and Canada. 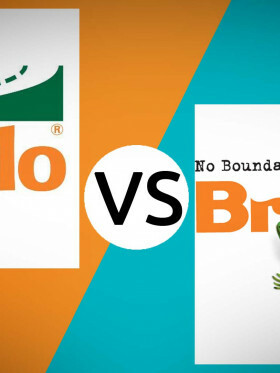 Whilst the Apollo brand is probably the most famous of the brands operated by this company, they also own Star RV, Cheapa Campa, and Hippie Campers, which satisfy the higher, lower and youth priced segments of the market. 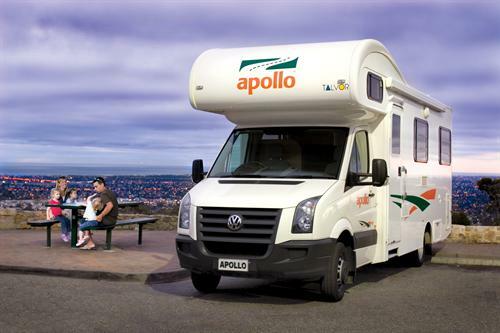 Within the Apollo branded vehicles you will find Campervans, Motorhomes, and 4wd campers. 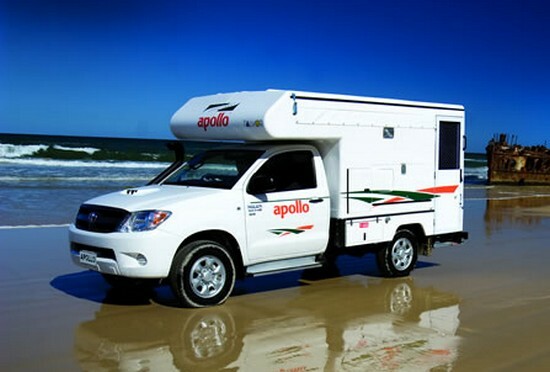 Apollo wants us to know that they have the largest camper hire rental fleet in Australia. They are proud of being one of the largest privately owned leisure vehicle operators in the world. Apollo hopes to have a vehicle to suit every style of self-drive holiday and is aimed at those travellers with just a little bit more money and more care for quality. Their cheapest camper is still of pretty good quality and is a Hitop camper with all the modern conveniences. From there the vehicles just get bigger, better, nicer and pricier. 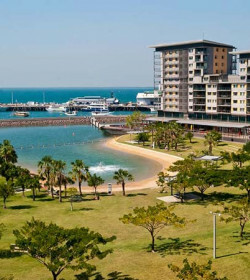 They aim to impress with their selection of locations, vehicles and their caring staff. Campervans and Motorhomes running under the Apollo brand in Australia are a maximum of 3 years old. After that, or at 150,000km, they sell them or pass them on to their cheaper family of campers under the brand of Cheapa Campa. Like pretty much all the campervan hire companies, you are charged by calendar days used, not at the time of day picked up like car rental. So it pays to pick up early and drop off late as you are paying for whole day regardless. 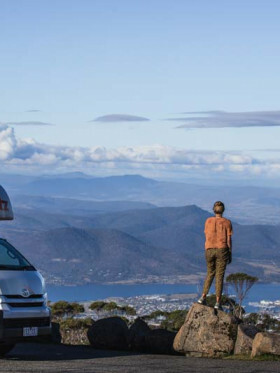 Just so you know which of the Apollo brands is best for you, here is how they stack up: Star RV is the brand used for campervans and motorhomes that are brand new to $60,000km (about 1 year). 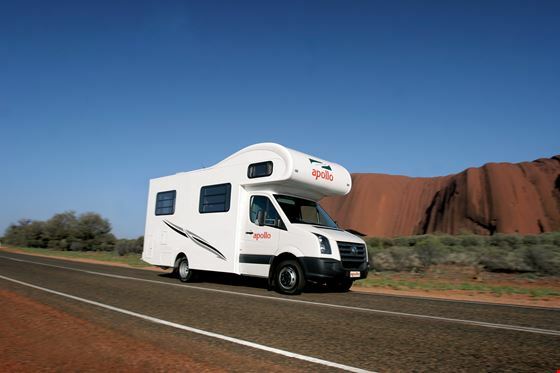 Apollo campervans are run from 60,000km to 150,000km (1 year old to approx. 3), Cheapa Campa then runs the camper from 150,000km to end of life which might be about 5 years. Hippie Camper has new and old vehicles that are aimed at the youth market so are generally smaller with fewer amenities and only a couple of different models. Apollo Campers Australia has introduced a new, zippy little camper they call Vivid, barrelling headlong into a market space dominated by Jucy and Spaceships. Let's take a look at what's different about this nifty little creature... Apollo's new family member is a compact 4 berth with a customized interior for a kitchen, bag storage, and sleeping whilst making daytime driving just like being in a minivan. At night it folds out for 2 peeps to sleep inside and there's a nifty little roof tent to sleep 2 peeps up top. This way you get a car during the day and 4 beds at night. This model has been adopted by the youthful purple and green of Jucy for some years and Apollo must feel it is worth splashing some design cash in to get the youth market. Strangely enough, Apollo already have a youth/budget brand in Hippie Campers which does not have this model. One thing that sets this version apart from the Jucy model is the quality of the minivan that it is based on - Mercedes Benz as opposed to Jucy's Toyota range. In addition, Apollo has a policy not to run a vehicle beyond 3 years (or around 150,000km) whereas the little purple turtle is normally bought as a 2nd hand vehicle, converted, and run for a further 5 years. So, if you are looking for super small, super fuel economy and willing to sacrifice some comforts for a smaller price, this little Vivid camper by Apollo might just be the ticket. But you have to be nimble. This is the base model vehicle for Apollo keeping bells and whistles to a minimum. Whilst it could sleep 4, it can only seat 2 as the kitchenette is directly behind the driver, meaning other passengers would have to sit sideways on the bench seats and this is not allowed. The bed set up is positioned across the bench seats. All the necessities are there for driving, sleeping cooking eating and cleaning but that's about it. 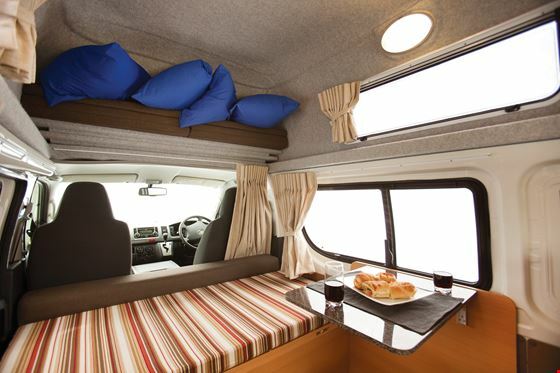 This manual campervan functions well to get from place A-B, cook and sleep, but not much else. Remember though that Apollo set a higher bar than "budget" agencies in the market so the base model at Apollo will be equal to or better than the "deluxe" model at a cheap agency. Still, you can fully stand up while on-board because of the added internal height. Same base model vehicle and most the same attributes of the HiTop except for a different layout in the back to accommodate 2 extra bodies. It's indicated to be 2 adults sleeping below and 2 kids sleep above, however, as per checking with Apollo about having 4 adults and it is fine to do. The maximum weight rating for the upper bed is 200kg. The average weight of an adult is 75kg so just be sure to sort your sleeping out best according to weight. An automatic unit, this family camper is furnished with side door entry, two double bed (top and bottom beds), microwave, fridge, 2 burner gas stove and other basic amenities. There isn't a lot of storage for 4 peoples gear because of the vehicle dimension. Why the Euro name? - because it is based on a European model vehicle - in this case a VW rather than the Australian built Hiace used for the other 2 campervan models (used to be Mercedes Sprinter so don't be surprised if you get a Merc model). With total shut down of all vehicle manufacturing taking place in Australia, pretty soon Apollo will have to name all their vehicles after other parts of the globe. The Euro tourer is the luxury model of the campervan class. Significantly bigger than the Hiace model that is used for the HiTop and Endeavour models, it could easily fit 4 people, but Apollo has decided it is better suited to 2 people traveling in style. This vehicle is when you are really starting to get to hotel-room style on wheels. Electric pump water, TV, DVD, air con (when on mains power), 3/4 sized fridge bigger than many hotels - shower and toilet. If connected to mains power, this has all the facilities of a decent hotel room minus the carpet. When not on power, you will lose the air con and microwave and the use of any power sockets, however, this is the same for all campervan and motorhomes that carry those items. Of course, like all things luxury, there is an additional price to pay. In this case, it is basically double what you will pay for the HiTop and 50% more than the Endeavour, but if you are the kind of person that likes to glam it up when traveling, this is the unit for you. Motorhomes are bigger, plusher and more expensive than campervans and generally have walk-through access from the front seat. The base model of the motorhomes for Apollo is the Euro Camper. As we have moved into the more luxurious category, TVs, DVDs, Microwaves, showers and toilets all become standard and this motorhome is no exception. This model is perfectly acceptable and being less than 3 years old will have all the mod cons that you are after. You can expect a higher level of quality of appointments, but one of the biggest complaints about motorhomes is that the shower/toilet area is "smelly". Everyone's tolerances are different but keep this in mind for all motorhomes with those facilities. This is just a slightly upgraded model of the Euro Camper. The swanky thing about this model that sets it apart from many others is the electric raise and lower of the double bed at the back. Very handy at the end of the day when it comes to bedtime - no moving of boards and cushions to make the bed. The only concern is what if it gets stuck? I hope there is a manual override. Generally the more moving parts a thing has, the more things there are to break down. There is also a slide out cooker come BBQ from the side of the motorhome. Australia loves to BBQ so this is a welcome addition to allow for smokey outdoor cooking under the expansive awning. This is a really homely unit. 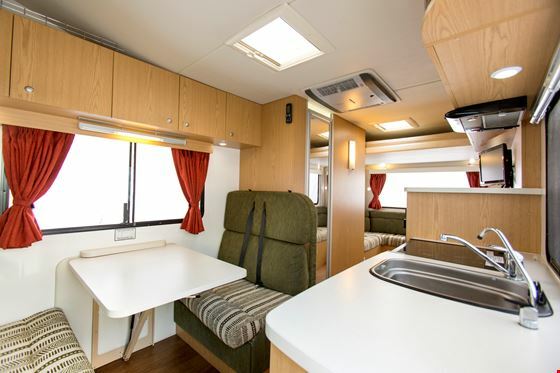 It has luxury and comfort and will be just a like a plush hotel room on wheels for those who want all the creature comforts when they travel. This is the largest model Apollo offers with 3 double beds for 6 people. The fridge is a little small to cater for 6 people I think, but there is a lot to fit into this motorhome. Something else to keep in mind is showering for 6. The hot water system can be slow to heat up and quick to run out in motorhomes, so don't plan on all 6 people showing one-after-the-other. You should spread it out between mornings and nights - and keep the times to a minimum, 100 litres of water won't go far when there are 6 showers in a day. On the upside, this model has a grey water waste tank making the vehicle entirely self-enclosed. This is handy for some council parking rules that only allowed self-contained motorhomes to park legally overnight on the side of the road. There is actually a tonne of little things in this motorhome that makes it a sweet ride, not the least of which is the separate dining area for kids, the awning and the outdoor speakers so make sure you sit through a walkthrough video for this motorhome before you drive away in it. Like the Euro Deluxe, this motorhome has a grey water tank so is completely self-contained - very handy if you find yourself pulling up to a roadside stop that only allows overnighting in fully self-contained vehicles. This motorhome has a complicated system to run all the little devices it has - there are circuit switches galore and numerous things that must be turned on, off or turned on in a certain order to make everything work. 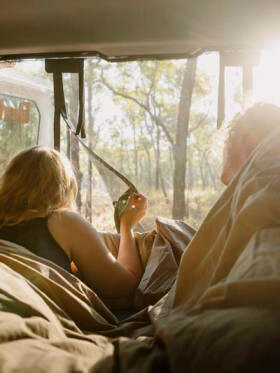 The Adventure Camper uses the concept of building tortoise-shell accommodation on the back of a ute (flatbed vehicle). These utes are mainly used by tradies to carry tools and get into muddy places for work. Strictly speaking, they are 4wd vehicles (not AWD) including Hi and Low range gears but are not great for high ground clearance and steep terrain. The advantage of this kind of model is the room. The tortoise shell on the back goes up and over the roof and allows for designers to come up with great concepts using all the available space. So when it comes to comfort and space this baby is right on. All this extra space comes with a price of course - it is heavy. Given the average ground clearance of the Toyota Hilux it is built on, and the extra weight, expect a few more rock bashes under the vehicle and keep the angle of incline attempted as merely "insane". Also, a reduction in fuel efficiency compared to some others. The Trailfinder Camper, built using the Toyota Landcruiser, is in another category. 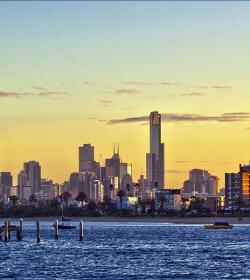 If you are looking to go to those places in Australia that only a few get to go, then this is the 4wd campervan hire for you. It will go places the other models won't go due to its high ground clearance, whopping V8 turbo diesel engine, all-terrain tires and it's pure engineering to survive no matter what you throw at it. Don't get me wrong, you can go plenty of places in Australia with the Adventure and Overlander models, but quite honestly, there will be a nagging feeling in the back of your mind - will we make it to the end of this track? No such feeling with the Trailfinder. It's more like - that track was killer fun, where is the next one? The Trailfinder is also better appointed for outback adventure. The 2x 90ltr tanks not only gives you more fuel but safety in case one gets a puncture. The water tank is nicely tucked under the chassis keeping it safe but not getting in the way of day to day use and is a better-sized 50ltrs. In the other 2 models, water and extra fuel all come in jerry cans. Trying to add just a little bit of luxury to the outback workhorse, Apollo has added a pop-top roof for added headroom when parked, a larger 48ltr fridge and a side awning included. The side awning will protect you from the elements whilst using the slide out cookers and sink on the passenger side. If you have kids, unfortunately, this model won't suit you, but if you are a couple looking to see the wilds of Australia, you can't go past the Trailfinder that hopefully will get you into a little trouble but will also be able to get you out of it too. 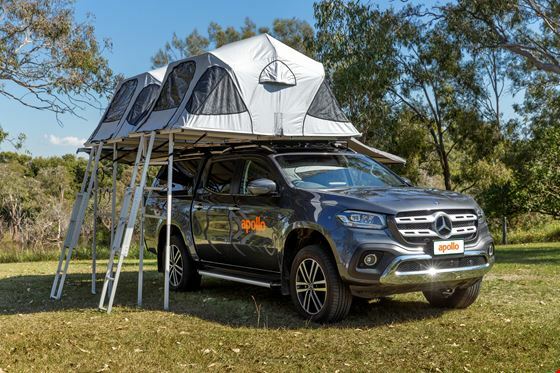 The Overlander is the newest addition for the 4wd section of Apollo and should appeal to those who are travelling outback with a family or those who just like to rough it. No sleeping inside the camper, all sleeping is done in tents. Some in a roof tent and the rest on the ground in an awning. Also, no real adjustments to the interior of the vehicle so they can continue to sit 5 people in there - the seating has been left traditional with a front row and back row. The rear storage is the only area where some customization has been done. There is more storage on the roof and that is also where the tents go. There is a whopping 45ltr fridge/freezer in the back that will run off the house battery but whilst it is nice to have that much refrigeration for 5 people, it takes up A LOT of room. In the end, the problem with this camper is storage. Up to 5 people in there and very little spare space to put all their stuff. The blue box on the roof will go a bit of a way, but if you are taking a whole family in this, be aware that you are going to be putting things in every nook and cranny you can find to store them. This campervan is another 4wd option that Apollo is offering for families up to 4. Well, technically, you are just getting a 4wd, 2 tents, and some other little benefits like the extendable kitchen, handheld shower, fridge/ freezer, and baby/booster seats. So, if you're planning to bring your kiddos, then this is one great option. But of course, tell them ahead that all of you will be sleeping in the tent, above the car. Sounds exciting, right? Setting up the 2 rooftop tents is easy but requires physical activity. The awning featuring a 270 degree also comes as a standard inclusion. It provides extra space at the rear area of the unit. 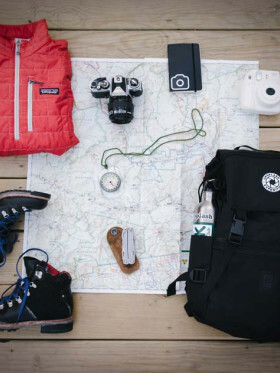 You can rent additional items like chairs, table, GPS units, and heater. The X-Terrain is built on an automatic Mercedez-Benz model, hence extra posh while travelling the scenic roads. 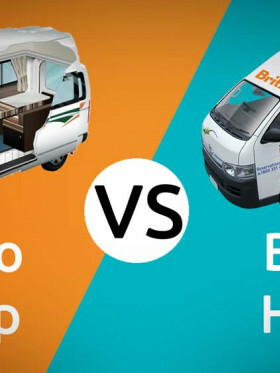 The standard liability depends on the rented unit: $5,000 for Hitop, Endeavour, Vivid Camper and Tourer, $7,500 for all other 2WDs, and $8,000 for 4WDs. For the 2WDs, Liability Reduction Option 1 amounts to $38/ day to limit the bond and liability to $2,500. Liability Reduction Option 2 or the VIP cover is $45/ day for $250 bond and $0 liability, as well as coverage for one windscreen, two tyres, and demurrage. For 4WDs, Option 1 is $41 for bond and liability amounting to $2,500. Option 2, on the other hand, is $47 with bond and liability of $500. And if you avail either the Value Pack or Option 2, you can utilize the 4WD Additional Package at $299 so that you are covered for overhead, undercarriage, awning rooftop tent, damage, plus unlimited tyre and windscreen, unlimited kilometers and towing and vehicle recovery fees. 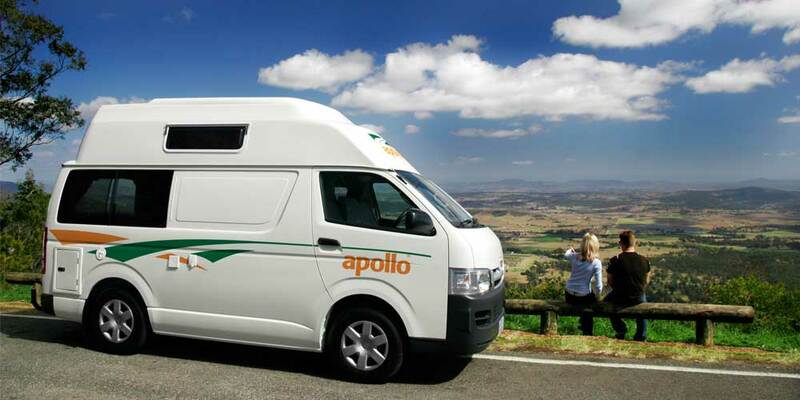 Apollo is without a doubt a force to reckon with in terms of RV popularity, not just in Australia, but in the world. With branches in the USA, New Zealand, Canada, UK, and Australia, it's not hard not to prioritize their rental fleet among others. Plus, they give a lot of options for hire and their price match promise has been giving other competitors a tough game. Still, even with their popularity, Apollo is not perfect. And by far the most complained about aspect of Apollo is the time it takes to return the safety deposit that you give when you commence hiring. All campervan and motorhome rental companies will take a bond of some sort - Apollo seems to be lagging the most in getting it back to you. In the meantime, it can leave a big hole in your credit card that may rack you up some interest charges with your bank. Considering the number of complaints about it I can only assume they are stashing it away in a short-term high-interest account. There is nothing you can do to speed it up so be prepared. This is a benchmark company that the others measure themselves against. You will almost certainly find a vehicle style to suit you, from campervans to motorhomes to 4WDS and even cars. But since they are one of the largest RV operators in the world, they tend to book out quick in high season. Huge company with massive fleet. People complain about how long it takes to get deposit back. I DONT RECOMMAND THIS COMPANY AT ALL. DONT BOOK WITH THEM. 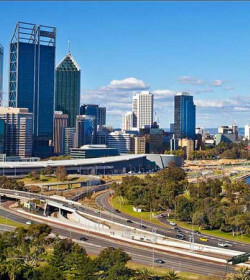 We booked it in Perth for 3 weeks. So many problems with them. - We paid 30$ For the gas and they only gave us 2 bottles of gas for 3 weeks ?? - When we drop it off, they said we don't fill up the fuel but we fill it up 10min before and they wanted to charge us for that. WE BOOKED WITH SO MANY COMPANY ALL OF THEM WERE PERFECT , EXCEPT APOLLO !!!! Only company where we had problems ! Had a very good car sturing a ten days stay in east of Australia; good and friendly staff helpen us on our way. All the ins and puts of the car well explained. The Mercedes home van turned out to be very good for a good price. Apollo Made my holiday comfotable, for sure! Rented a camper van for 10 days. On the second night we found out the shower drain was blocked and completely unusable. On correspondence with Apollo the only thing they could advise was to buy some draino, after admitting the camper van was not properly inspected prior to giving it to us. On top of that, they did not fill the gas cylinder for us (was only half full), the water tank was leaking and only provided us with about 1/3rd available water supply, and the air conditioning unit was broken; would only work for about an hour at a time before becoming unfunctional. We were not offered any form of compensation. "Still on the road with our camper"
We returned the Camper on the day we agreed with however a few days later we recieved an additional charge (at DOUBLE the day rate) for an additional day rental. Nothing said when we returned the car and they have taken our bond. Total crooks. Currently disputing the transaction. Also campers are very basic and dont really come with any essentials, plus our cook-top stove was broken. Wouldn't recommend to anyone. 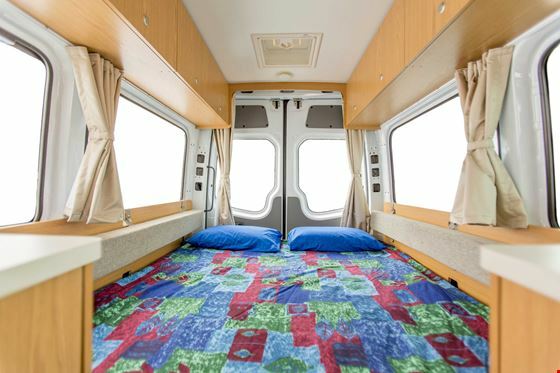 "Review of my Apollo-Campervans-Australia hire"
The layout wasn't great when u had to get out in the mornings to go to the toilet trying to get off the bed and onto the ground. "avoid apollo to save money, time and nervous"
We hired 2 cars from apollo group. First was hippie campa (cheap variant) for 4 days in Cairns. 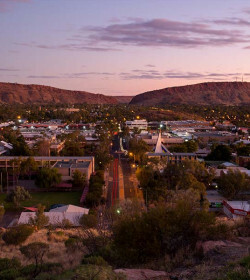 Second was apollo endevour hitop for 2w from Sydney to Alice Springs. Can only say worst experience ever. Just bullshiting, overcharging, not a fair pricing, hidden fees. Cars not in adequate condition.... just paying extra and extra on top of Total amount stated in rental offer. It was in both cases so its not a one-timer or mistake but their business plan. They offer you cheapest option but at the end, you would pay less with anyone else. We travelled with others before, britz, mighty, wicked, camperman. We rented, relocated and never ever any problem..till we tried apollo group. Really I cant say anything good about this scamming company. Save yourselfe some time, money and nerves and book anywhere else than with apollo group (hippie, cheapa, apollo, rv star). "Apollo.......you can definitely do better." We hired a midrange Endeavour 4 berth camper from Apollo’s Perth branch for 15 days exploring the south coast of WA. We waited for an hour before we were attended to, all the time listening to the customers in front of us being bullied with hard sell tactics into top comprehensive insurance cover. We received the same bullying tactics with fearful tales of terrible things that would happen and were told we could lose $5000 for each “incident” we might have. My advice is to avoid Apollo at all costs ..... there are much better and fairer companies to deal with. "THe hidden cost for Apollo are sky high"
Our van was well presented and drove really well. We did have a couple of minor issues on our month long road trip with the power and oven but these were quickly scheduled for repair at our next town in which we were passing through. Overall very happy. Rented a van out of Darwin. Vehicle was fine, if a bit shabby for such a new van. Curtains were missing and the bed was among the least comfortable I've ever slept on. Would have been a forgettable experience if the fees (including a $75 cleaning fee disclosed at no point in the booking process) hadn't doubled the price. Avoid. We rented an Euro Camper for 2 weeks in April-May 2018. Check-in and pick the van worked out fine. As of first day we had red exclamation mark on the board saying to check transmission that was coming on and off. Apollo staff was supporting to find a garage to get the motorhome checked, which at the end we didnt do because after a couple of days of warning, the sign just disspeared. We also had issues with two of the windows opening and not being able to close them down anymore. So we had to unscrew them and close them just like that manually. Otherwise the motorhome offered us everything we needed and it was all fine. Unfortunately when we gave it back, we forgot our GPS inside it and when we called to ask for it, it was not be found. So that was a bad experience for us. 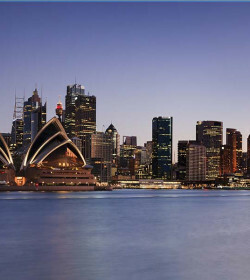 I have referred a few people to the Sydney office and they two have had extremely positive experiences. Super Service, sehr nette Mitarbeiter, die sehr flexibel sind. Sind sehr zufrieden. 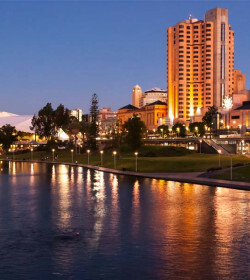 Thanks for the very friendly and quick check out at Adelaide done by Mr. Bosch. We didn‘t have any problems with the car. But the interior should be more comfortable and practical like in your newly intoduced car (e.g. plastic boxes). For a 4 WD should be a compressor and a „ramp“ for sandy tracks available. 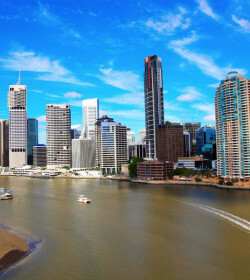 We had Wonderful Service from Nancy and the team at the Brisbane office, we are Very Happy with the Hi Top Camper, we will definitely use Apollo again, Ed and Annette Victoria. 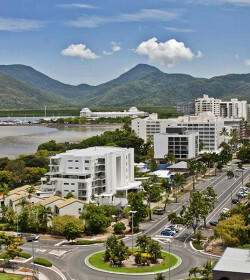 "Mitchell Creek Rock and Blues weekend"
The service that we received from Nancy at the Brisbane office was exceptional. We would recommend Apollo to our friends. Another great road trip for me. Nearly 8,000 kms in 36 days. Thanks Apollo. Well kitted out. A newish hi top and it drove really well. Love Toyotas! "Dirty, tired looking, badly equipped - BEWARE." Rented the "Deluxe" motorhome from Apollo, there is nothing "Deluxe" about it I am afraid to say. When we got they keys we couldn't have been more disappointed, it looked so worn and tired. The toilet smelt so bad it knocked us sick and the curtains were stained, covered in mold and looked like they hadn't been washed......ever! We advised Apollo and were told there was nothing they could do as all other vehicles were out on rental. They said they would give it another clean, what they did in fact do was throw some bleach down the toilet and spray some air freshener. Oh and we got a whole $100 refund for our inconvenience, not good enough! As we didn't want to ruin our holiday, we took the van, drove straight to the nearest supermarket, bought cleaning products and did our best to freshen it up. Did I mention that they did not provide the promised welcome pack either. Also the vehicle did not have the promised outdoor chairs, we had to buy those ourselves! Yes they reimbursed us in full for said chairs but who wants to have to start buying items for what is supposed to be a fully equipped van. The toilet smelt terrible all through our holiday despite us continuously cleaning it, as did the drains. Those disgusting curtains never closed properly to block out the sun and we found a rather large unpleasant stain on the mattress we had to sleep on. Also the utensils in the van are none existent. All in all we had a great holiday but I would never rent from Apollo again, we have advised them of all our issues and they have responded, but I get the impression they know of the problems in their vehicles and they don't really care. 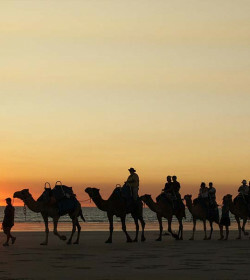 Your staff in Broome looked after us very well and dealt with our concerns. That is one tough little vehicle and even with 100,000 ks on the clock it did not miss a beat. However the internal fittings are well out of date for current clients and would benefit from a complete redesign with customer input.